After a couple of hours spent watching the entries, and after consulting with my special assistant (i.e., the cat), I've had a chance to rank my favorite submissions in this year's Get Rich Slowly video contest. As always, there were some great tips and some great stories. This year, I was impressed with the production values on the entries; some of the videos you folks sent in looked like they could have been produced by professionals! This year's winner in the Success Story category goes to Dixie Prosser, who told us how her nine-year-old saved for an iPad. I shared this a few weeks ago and heard a lot of great feedback for the clip. It's a charming story of teaching kids how to do the right things with money. The five runners-up used a variety of techniques to tell their stories. For instance, Pequatch used simple text to tell the tale of the girl and the magic pot of money. Meanwhile, Travis Settineri (aka S.E.T.) used a professionally-produced video to share the power of pursuing his dreams. Megan got personal as she shared her story of getting to ground zero. Donna Butler's story is full of passion, and that may be because she hasn't reached the end of her journey yet. Her story is a work in progress Finally, Kim's financial success story contains tons of great tips that anyone can use. This year, my favorite personal finance tip video came from Justin at Cube Sapien who shared how to put your emergency fund on ice. I'm not sure why, but the idea of freezing cash to have on hand really appeals to me. I know a lot of people keep stashes of cash around the house, and this just seems like a smart way to do it. The Rice family, who know the value of home haircuts. Maria, who has 8 tips for an affordable home. Mandy, who turns her junk mail into scrap paper. Jeff, who learned that he can spend five minutes to save $400/year on life insurance. Note: There were other great submissions too, but not everyone can win a prize. You can view all of the entries at the contest site. The number of entries dropped sharply this year, but the overall quality was better. Every year, one entry wins the Website Award, which is a prize for a contest entrant who also has a website. This year's prize goes to Jaime Tardy from Eventual Millionaire. Two years ago, in the first GRS video contest, Jaime shared her story of how she paid off over $70,000 in debt. Since then, she's changed her mindset, and has been working hard to learn what makes wealthy people tick. As part of that, she's interviewed over 50 millionaires to learn the secrets of their success. On the strength of these two videos, and because her site is intriguing, Jaime wins this year's Website Award. Chip from Chip's Money Tips wasn't eligible to win anything (he won a Grand Prize last year), but he shared two great videos again this year including this one about making the most of credit cards. As always, the Get Rich Slowly video contest is a fun way for me to see what you, the members of the community are up to. Plus, I think it's a great way for people to share their tips and success stories with other readers. Because that's the strength of this site, after all: We're all in this together, and we're all learning from each other as we attempt to get rich slowly. 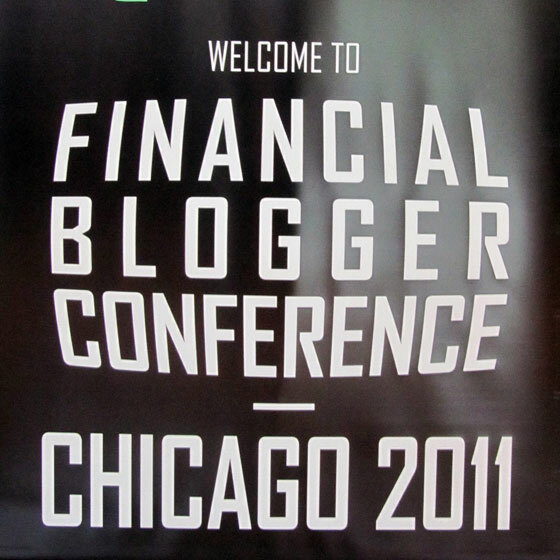 I spent the weekend in Chicago, meeting and talking with 279 other financial bloggers. After years of saying we should all get together, we finally did (thanks to the hard work of Phil Taylor from PT Money). For three days, we talked about writing, marketing, and monetization. We also talked about how to make our blogs more useful to our readers. I opened the conference by speaking about why we write. Why do we blog about money? Do we do it for the fame? The fortune? The fun? I think all of these are part of it, but I argued that the real reason we blog is because of you, the readers. Your blog does not belong to you. Your blog actually belongs to your readers. Without them, you have no blog. If you want to grow your blog, to gain fame and fortune, let your readers have as much control as possible. I'm not saying you should allow a no-holds-barred free-for-all in the comments. I'm saying you should allow your readers to steer the blog's content and direction. We're lucky. We don't have to choose between helping ourselves and helping others. We can do both. One of the things that makes personal finance blogging so awesome is that our interests and our readers' interests are often perfectly aligned. The more we show others how to achieve their financial goals, the more likely we are to achieve our own. I also stressed the importance of story. I always stress the importance of story when I speak to bloggers. I think traditional financial media is too dry; it lectures. Blogs are great because they let us share real-life stories about money so that others can learn from our successes and failures. As part of this point, I brought in a special guest: Benny Lewis, the Irish polyglot. (Benny recently shared a guest post at GRS about how to learn a foreign language without spending a cent.) 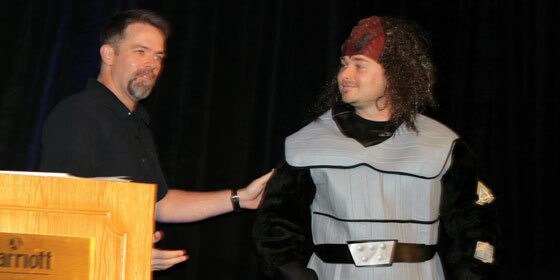 Benny is spending time in Chicago learning to speak Klingon for a Star Trek convention. This is a great example of using story to convey an idea to readers. One of the highlights of the show was listening to my friend and colleague (and former GRS staff writer) Adam Baker (Man vs. Debt) give his early morning presentation on designing and launching a product of your own. Baker crushed it. 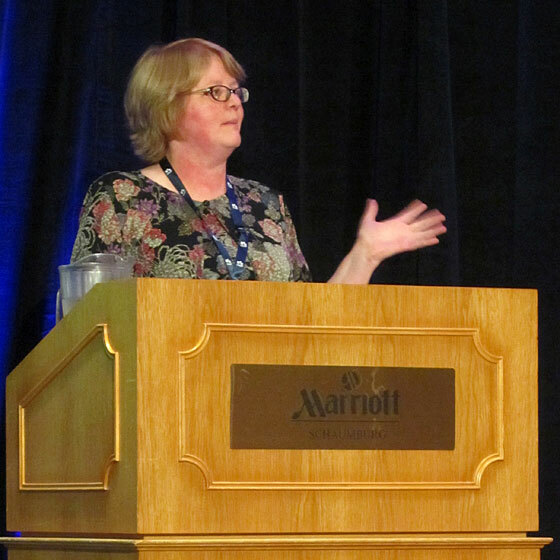 Current GRS staff writer Donna Freedman (Surviving and Thriving) also spoke at the conference. Her presentation covered good writing skills. Donna is much taller than you probably imagine, but she's just as funny in person as she is on the web. On Saturday night, the second annual Plutus Awards were presented to the top financial bloggers. Get Rich Slowly won awards for the best-written personal finance blog and the best personal finance blog with multiple authors. It also won the award for blog of the year. It's a tremendous honor to have been selected for these; the experience was humbling. I was pleased to see that Donna Freedman won the award for best blog contributor or freelance writer, and former staff writer Adam Baker won for best new personal finance e-book (Sell Your Crap). For me, the best part of any conference is meeting and talking with my colleagues. It's almost impossible to overstate how much I enjoy sharing tips and stories and ideas. The people I meet are universally amazing, and this weekend was no different. I met Crystal from Budgeting in the Fun Stuff. In March, Crystal shared her reader story at GRS, describing how she avoided student loans. Crystal is awesome, and I loved hearing how she got started blogging. (Hint: It involved this GRS post.) In only eighteen months, she's gone from a $35,000/year CSR job to earning $6,000 to $10,000 a month writing online. If we're lucky, she'll share some more stories with us here in the future. Tom from MapleMoney has started to buy smaller sites from folks who are burned out on blogging. “If somebody will sell me a site for 1x to 2x annual profit, of course I'll buy it,” he said. “It's like I'm buying future income.” He now owns dozens of blogs, though only a handful produce any real money. Still, he's getting close to where he could quit his day job. “But I figure as long as I have my mortgage, I should keep working,” he said. I also met Ryan from Cash Money Life. Ryan used to be an anonymous blogger (or semi-anonymous really), but at some point he decided to go public. “When I started using my real name, so many doors opened up,” he said. I'm a strong believer in transparency, so it was interesting to hear how being more open brought down barriers between Ryan and his readers — and gave him more opportunities outside his blog. Note: I also spent a lot of time talking with Tess Vigeland, the host of Marketplace Money. I've been listening to Vigeland's work on public radio since the early 1990s. Turns out we grew up in neighboring towns during the 1980s and graduated from high school just a year apart. Her parents still live just across the river from me here in Portland. Crazy! At lunch on Sunday, I chatted with Flexo (Consumerism Commentary), Will (Wise Bread), and Kelly (The Centsible Life). We talked about where blogging has been and where it's going. “I'm not sure where things will be five years from now,” I said. “I think I know where they're going,” Will said. “Cat blogging is the future of the internet.” You know what? He may be right. Finally, thanks to Phil Taylor from PT Money. It was his work and vision that pulled this conference together. We PF bloggers had talked about doing something like this for years, but nobody ever took the initiative until Phil made this his baby. It took him months of hard work to pull this off, but the result was worth it. Thank you, Phil. We personal finance bloggers are grateful. Note: Tomorrow, I leave for a vacation in Peru. For five weeks, I'll be hiking in the Andes and sitting on the shores of Lake Titicaca. 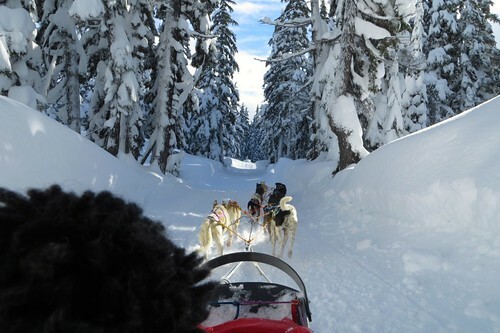 You can follow my adventures at Far Away Places, my travel blog. In the meanwhile, I've written plenty of posts for my absence, and April will be stepping into the role of editor. I'll pop in when I'm not out petting the llamas. Participation in the Get Rich Slowly video contest was down this year, which makes me a little sad, but the quality of the entries made up for it. In fact, the quality of the videos was so high this year that it was tough to pick a handful of winners. As a reminder, contestants could share videos in two categories for this contest: Success Stories and Personal Finance Tips. The top video in each category wins $500. Ten runners-up in each category will receive a copy of my book, Your Money: The Missing Manual. Let's look at what your fellow readers came up with. The winner of the Success Stories category is Ian, who described how he built his house without a mortgage. Ian's was the first entry to this year's contest, and it was one of the best. Many of you have watched this already. It's worth watching again. Ian paid off $35,000 in student loans and build a sustainable off-grid house. Like many of you, I want to know more about this. Ian has posted a slightly extended version of his story, but I still want additional details. I'll pester him to see if he's willing to write a guest post or a reader story. Because I have a soft spot for financial success stories, I loved watching the submissions to this category. It's inspiring to hear how other people have managed to make the most of their money. Here are the ten nine runners-up, each of whom will receive a signed copy of my book. Laura: How I made it in New York City — Not all twenty-somethings move back home with their parents. Laura describes how she's managed to make ends meet as an artist in New York. Great story. Elizabeth: How we built our dream house — Elizabeth and her husband were patient and creative in their quest to live in the perfect neighborhood. Julia: How I accidentally created my own profitable website — Julia used to sell home-made clothes on eBay. Demand grew. She turned to friends for help, and now she runs a successful (and geeky) business. Website: Garb the World. Jeff: New car payments aren't all they're cracked up to be — Jeff explains how driving an old Chevy Lumina helped him jump-start his retirement savings. Website: Good Financial Cents. Anthony: How my wife and I took advantage of 0% balance transfers to pay off $14,000 in one year — As you know, I don't play credit-card games. But Anthony makes a compelling case that if you're disciplined, playing this particular game can help you get out of debt quickly. 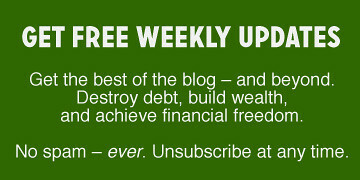 Jenny: Becoming and staying debt-free — Jenny emphasizes choosing to be smart with money. She says making up your mind to do something is the most important step. Website: Ex-Consumer. Steve: Simplify your life (and your closet) — Could you go a year without buying any clothes? How about two? Steve did! Website: Grocery Alerts. Zane: How following my dreams led to great success — Zane stresses the importance of living your own life, not making choices based on what other people do and have. Website: Life by Experimentation. Caleb: Pocket changed: How I became debt-free — Three years ago, Caleb had $28,000 in debt. Today, he's debt-free. Website: Pocket Changed. Tip: As you can see, there were far fewer entries to the Success Stories category than to the Money Tips category. In fact, there were fewer entries than prizes! If we do this again next year, you may want to remember that your odds of winning are much higher if you submit a story instead of a tip. The Personal Finance Tips category was tougher to judge. There were many more entries here, and a lot of good stuff had to be left off the final list. Ultimately, I had to go with my gut and pick the videos that resonated with me for one reason or another. But this isn't Kevin's only song about money. Check out this post from his website, where you can see two of his previous personal-finance songs. (“Haven't Made a Budget” is excellent.) And if you're a Glee fan (like me and Kevin), check out his Christmas song. You can read more from Kevin at his blog, Thousandaire. Bill: The family 401(k) — A simple way to get kids to save for the future. Brilliant. Website: FamZoo. Corrie: How to make your own yogurt — Well-made instructional video that shows how you can save 50% on yogurt by making your own. I don't eat yogurt often but if I did, I'd look into this. Shawn: How we cut over $1000 from the cost of our wedding — Some great suggestions for reducing wedding costs. Love this. Ashly: How not to blow your budget and still be stylish when celebration calls — Sharp production values on this one and some great tips to boot! Website: herCatwalk. Joanne (aka slackerjo): How to maximize the space you do have — Many of us have more Stuff than space. Slackerjo shares a frugal way to find more space. Andy: Ten ways to save money in two minutes — Andy has an awesome list (with examples) of ways you can earn and save more money. Cecile: How to use your expense-tracking data to build a budget that works for you — Cecile outlines how to create and follow a budget based on your spending habits. Website: La Tirelire de Cécile. Ben: How to get free tickets — Entering contests can be a great way to get free things, including tickets to cultural events. Website: Money Smart Life. Note: If you'd like to watch more great personal-finance videos, check out the 2010 GRS video contest winners. Last week, a reader named Matt sent me an article from Chicago Business about how bloggers are quitting what they call a demanding task with few rewards. It's a fascinating story that explores some of the problems with blogging as a money-making enterprise. Blogging isn't as lucrative as people imagine. Bloggers aren't willing to share their personal lives. Bloggers run out of material. It's easier to reach people via Facebook or Twitter. Leaving aside Twitter and Facebook, all of these are valid concerns. As part of my job, I talk to bloggers all the time. I speak to groups of bloggers at conferences, and I meet them one-on-one for lunch all year round. From my experience, novice bloggers have no idea how much time and effort it takes to build and maintain a successful site. Yes, you can start a blog in just an hour or two. Yes, you can run a blog as a hobby, and you can even make a little money at it. But for a blog to be a full-time business it has to be, well, a full-time business. Blogging is no easy path to riches. Based on conversations with hundreds of bloggers, my best guess is that the average blog makes maybe $50-$100 per month. (Well, the average blog makes nothing. The average blog that's trying to make money earns about $50 to $100 per month.) A very successful blog might make $1000 per month. And some, like Get Rich Slowly, make enough for folks to earn a full-time living. One of my 2011 Resolutions was to start a blog. The blog is up and running, but it's quite discouraging that people aren't visiting it. Do you have any ideas on how to get people to visit the blog? My reply? “Building an audience for a blog takes years, not days.” Blogs don't just spring fully-formed into existence, like Athena from Zeus' head. Building a successful blog takes hundreds or thousands of hours of work. Even then, many things have to happen right in order for a blog to grow to the size of Get Rich Slowly. You need to write well. You need to cover a subject that interests people. You need to get lucky. All of this takes time — and lots of it. But time isn't enough. Your blog has to be interesting, and one of the best ways to make it so is to be sure it tells a compelling story. Most blogs fail to find an audience because they're just too generic. They're bland. They could be written by anyone. The blogs I like have personality. Why do I love Mimi Smartypants? Because she's so damn funny. What sets Progressive Ruin apart from other comic-book blogs? Mike makes the site personal. (He loves Swamp Thing, for goodness sake.) And what am I always telling the staff writers here at GRS? Write with personality — share your life. A blog on any subject can be compelling if there's a story behind it. Sure, readers come to a blog for information. But they also come to be entertained. They come to be part of a community. For these things to happen, they have to feel like they're sharing your story. If you're not telling a story, what is there to keep a reader around? Last July, I spoke to a group of deal-bloggers. I was dismayed at how lifeless their sites were. “To set yourself apart, you have to let your readers identify with you,” I told them. But a lot of people are scared to share too much on the internet. That makes it tough for a blog to succeed. One final challenge bloggers face is a lack of material. If you're writing a personal blog, this isn't an issue. 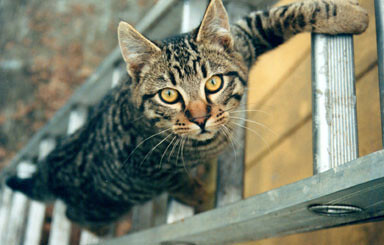 I mean, I can write about cats and comic books for a hundred years and never run out of stories. But there are only so many people who want to read about how much weight I lifted at the gym this morning or look at the latest video I found on YouTube. If you want to keep an audience, you have to write about a specific topic. And once you've narrowed your focus to just one topic, you've limited your pool of potential posts. Unless you only write once a week or don't mind repeating yourself, this is a problem. To maintain a successful blog, you need to provide a constant flow of new and interesting material. This is much more difficult than you might think. In fact, I'd argue that it's the fundamental problem that bloggers have to solve. How do you keep covering your subject's core material without sounding like a broken record? You know what? I've faced all of the problems outlined in the Chicago Business article. But instead of quitting, whenever I've faced a challenge, I've looked for a way to solve the problem. As a result, Get Rich Slowly is not the same blog it was when it started nearly five years ago. This site has evolved, and will continue to do so. Some of the changes have been obvious. Get Rich Slowly is now a multi-author blog, for example. Plus, there's a team of social-media elves who take care of Twitter and Facebook so I can focus on my strength — which is writing. Not every change at Get Rich Slowly pleases every reader. That's fine. But the bottom line is I have to look out for myself, too. I have to strike a balance between providing what readers want and getting what I need. It's only by achieving this balance that Get Rich Slowly will survive going forward. When this balance is achieved, something magical happens. Blogging remains a demanding task, it's true, but you know what? It's a demanding task with abundant rewards for everyone. I find predictions, and the people who make them, fascinating for a few reasons. First, I — like everyone — would love to get a hint of what's coming up. But we don't have to go back decades to find instances of people (some of them pretty smart) being wrong about the future. Let's flip through the cyber-pages of the Dec. 20, 2007, issue of BusinessWeek, which featured one of those year-end, “where the Dow will be a year from now” types of articles. You may recall that the Dow was quite a bit lower than each of those predictions on Dec. 31, 2008 — approximately 40% lower, in fact, at 8,776. Okay, so those people aren't really dumb. In fact, they're likely in possession of above-average intelligence, and work with teams of analysts who also have above-average brains. And they also likely have access to the most data, the fastest computers, and the best software. And they still were very, very wrong. Boy, it would be great if we could consistently predict which investments would be the winners and which would be the losers. But it's very difficult; in the short term, it's impossible. Want more proof? By now, you likely have heard and seen Dr. Nouriel Roubini, the NYU professor known as “Dr. Doom” for his pessimistic outlook. He gained a lot of fame for predicting the housing crash and resultant deep recession. Good for him. For the next 12 months I would stay away from risky assets. I would stay away from the stock market. I would stay away from commodities. I would stay away from credit, both high-yield and high-grade. I would stay in cash or cash-like instruments such as short-term or longer-term government bonds. It's better to stay in things with low returns rather than to lose 50% of your wealth. Well, you know how good that advice was. The assets that Roubini warned against posted huge double-digit returns in 2009. As for the investments he recommended, the Vanguard Short-Term Treasury Fund (VFISX) returned just 1.4%, and the Vanguard Long-Term Treasury Fund (VUSTX) lost 12.1%. On my CAPS blog, I occasionally summarize predictions I've run across from the previous week or two. I always break them up into two groups: Those who predict good things for the economy or stocks, and those predict ill. Invariably, the people I quote are all smart, thorough, well-educated people. And they look into their crystal balls and see vastly different things. J.D. 's note: CAPS is the free Motley Fool website where you can try your hand at picking individual stocks, track your performance, compare your performance to other CAPS players, and see what investments the best CAPS players are picking. GRS first mentioned it about two years ago. I'm no longer one for picking stocks, but if you are, CAPS is worth checking out. But isn't picking stocks the same thing as making predictions? If the future is so hard to forecast, why even try? Ay, there's the rub. If you're putting money in an IRA or 401(k), you have to choose which investments to buy with that money. And investing, by its nature, is a predictions game; you put your money into the things that you think will be worth more in the future than they are worth today. As I've written before, having a well-diversified portfolio is the way to go for most people, because there's no crystal ball required. You own lots and lots of investments, so that something will do well in just about any scenario. You own domestic and international investments; large, mid, and small stocks; index and actively managed funds; and if you own fixed-income investments, then diversify across corporate bonds, Treasuries, and inflation-adjusted bonds. If you're investing in individual stocks, keep yourself honest by tracking your results. If, after all the time you spend researching and monitoring your stocks, you underperform the market, then perhaps you'd be better off in a mutual fund of some kind. Motley Fool CAPS is a great way to see if you have what it takes to be a stock-picker before you commit too much of your nest egg. In summary, my fellow Americans (and the Canadians who are reading — darn you and your gold-winning hockey team! — though you put on a great Olympics), unless you put all your money under your mattress, you have to make some guesses about what the future will bring. But do so with great humility and honesty. And beware of any “expert” who is very confident about what will happen. Chances are, if you examine his record, you'll find plenty of reasons he shouldn't be so confident. This guest post from Lizzie is part of a new feature here at Get Rich Slowly. Every Sunday will include a reader story (in the new “reader stories” category). Some will be general “how I did X” stories, and others will be examples of how a GRS reader achieved financial success. Confession time: I read Get Rich Slowly on a daily basis. Phew, that was easier than I thought! Two years ago the major confession would have been the balance on my credit cards. 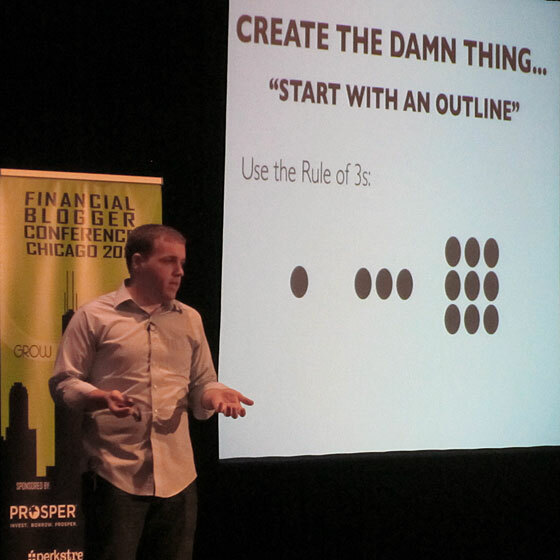 I found this blog about the time I was just starting my own personal finance journey. Like many new college grads, I was in major credit card debt with a salary that barely covered rent and food — not that I ever really tried living within its confines. Before I paid off my credit cards, I worried needlessly about things that were out of my control. Oddly, they were not all related to money. I worried that my dad would have a heart attack (he's in fine health). I worried that my bus would get me to work late (never happened). But the big worry was that people would learn how much debt I was in and think I was living a lie (which I was). I moved in with Mom and Dad. This was weird, embarrassing and uncomfortable at first. But I love my parents dearly and we learned to cohabitate in a way that didn't make me feel 16 again. I spent 15 months saving on rent to pay off my credit cards. I took a high-paying administrative job. It's not like I dreamed of graduating college to become an assistant, but I found a corporate assistant position (that did not require I transport kids, cook diner or manage a household for someone else) and now I get all the same gold-plated benefits as my bosses. I make a budget. I don't do anything fancy. I prefer to use a post-it note and map out my spending plan for each of the next four weeks. Weekly budgeting is key for me since I'm paid every Friday. I use cash as often as possible. I do my best to keep spending money in cash form, a popular technique for those trying to spend less. It “hurts more” to use paper money than plastic debit or credit cards. Now that I'm on stable footing again, I've resumed my life as a normal 20-something. I moved to an apartment that I share with two roommates. Together we can afford more apartment that anyone could separately and it works. I have let credit back in, by using my Banana Republic card in a way that maximizes my reward potential and lowers the cost of my work clothes. I don't worry about my financial future anymore because I know I've learned some very powerful lessons. The best part of paying off debt is that I can dream again. This fall I applied to graduate school. Next I'll be starting a side business based on my administrative skills. Most importantly, I'll continue to read Get Rich Slowly because I like being part of a community of people constantly working to better themselves! Are Americans Ready to Ditch the Dollar Bill? Despite several attempts to introduce a popular dollar coin, the dollar bill continues to enjoy its position as the dominant $1 currency. Since traveling overseas, I've realized the story is a little different elsewhere. Both New Zealand and Australia have not only $1 coins, but $2 coins as well. And the dollar bill? Well it's non-existent. The smallest paper note is the $5 bill. At first, the difference seemed negligible. Who cares if it's a coin, a paper bill, or a credit card? Ignoring exchange rates, a dollar should be spent the same regardless of material, right? Sounds good in theory (at least in my head), but after several months of purchasing tram tickets, bottles of water, and Mrs Higgins cookies with small bills and coins, I noticed a difference. Magically, it seemed like I had a much easier time spending a handful of coins than I did a small wad of bills. In the States, Courtney and I generally ignored change altogether. In fact, when we had something like a $3.79 charge, we'd simply record it as $4 spent to help simplify our tracking. This meant that in rare cases where we paid for a small purchase with only pocket change, we usually didn't track it at all. However, we found the system we'd grown accustomed to in the States was a little more expensive to operate overseas. A small handful of change could easily be six or seven bucks! The Australian and New Zealand currencies are also void of any pennies (although the New Zealand ten-cent piece looks like a penny). Electronic payments, including credit and debit, and still processed down to the penny in most cases; however, when paying in cash, they round the transaction to the nearest $.05 (or $.10 in New Zealand). It wasn't until experiencing a penniless system that I realized how pointless (and annoying) the one-cent coin can be. Ironically, a 2008 New Yorker article points out that “primarily because zinc…has soared in value, producing a penny now costs about 1.7 cents.” Yikes! You don't have to travel across an ocean to realize that fighting to keep the penny in circulation is a losing battle. And in my opinion, the widely-popular dollar bill won't outlast the penny very long at all. Why are we fighting so hard to resist this change? It seems like a logical shift. I don't get it! Are you ready to ditch the dollar bill and the penny? 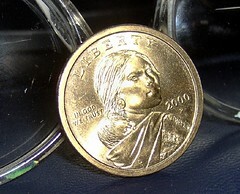 Sacagawea coin photo by flower beauty. This is a guest post from Joe Taylor Jr. Taylor is an internal business consultant for a Fortune 500 company, who also writes about finance, culture, and design. He holds a Bachelor of Science in Communications from Ithaca College. I remember an evening a few years ago, when the company I helped start had to close its doors. I'd sunk my entire savings into building a business that had thrived. As soon as bombs started falling on Baghdad in 2003, however, my largest client cancelled its contract and two other big customers totally shut down. Of course, my creditors didn't care about the reasons I hadn't been receiving payments on invoices we'd sent. They just wanted to get paid themselves. My wife and I ran down the list of changes we'd have to make: downsize to a smaller home, cut the cord on cable television, maybe even cancel my life insurance policy. While we had to cut plenty of budget items to the bone, I kept scraping together a few bucks every week to keep paying that term life policy. After all, I joked at the time, it meant that I was at least worth more dead than alive. Those were scary times. I'm in good financial shape now, but the recent economic downturn has many of my friends in the same place I was that night. For most Americans, the cost of maintaining a term life insurance policy amounts to the same price as a meal for two at a casual restaurant, maybe less. And it's easy to consider dropping life insurance when you've been laid off or you're facing another kind of money crisis. It's not like things can get any worse, right? Economists from Columbia University and the U.S. Federal Reserve examined death statistics and found that laid-off workers face a higher mortality rate than colleagues who remain steadily employed. Over twenty years following mass layoffs, discharged workers were, in many cases, up to twenty percent more likely to suffer medical or mental problems that led to their deaths. Of course, if your life insurance is tied to your job, you typically need to establish a new policy. Many financial advisors urge clients to maintain a term life insurance policy in addition to coverage offered as an employment benefit. This way, you can maintain coverage and enjoy consistently low monthly premiums. In addition, you won't have to subject yourself to new exams when you change jobs. I've been able to supplement my term life coverage with employer-provided insurance over the past few years, secure that my primary policy can care for my loved ones regardless of my employment status. I'd like to say that I kept the same insurance provider throughout the past decade. Instead, I made a switch when I learned more about how term life insurance providers rate risk. If you smoke, if you're overweight, or if you lead a sedentary lifestyle, you may feel more of a pinch when you pay your monthly premium. I've never smoked, but after my wife started dragging me to the gym a few times each week, I found a life insurance provider online who was able to shave ten dollars a month off my payment. It's a small reward for doing the things I should have been doing all along to take care of myself. If you're thinking about canceling your life insurance, what are some other items in your household budget that might make more sense to cut? Are there ways you can kill two birds in one stone, by spending less on unhealthy items and keeping your premiums intact? Tell us about your challenges. Though Kris and I are fairly adept in the yard and garden, we sometimes struggle with home maintenance tasks. When I prune the camellia hedge too hard (as I did in April), it may look ugly for a few months, but I know that nature will erase my mistake in time. A house is less forgiving. Still, with each passing year, I try to become a little more adept at do-it-yourself home maintenance. If a person is careful and thorough, even modest home-improvement skills can save money. Though we recently paid a contractor to bring our home's electrical system up to code, I spent part of this weekend wiring the light fixtures myself. I'm sure it takes me five times as long as a professional to hang a new lamp, but not only do I save some money, I also get a sense of satisfaction. My friends Andrew and Courtney participated in a neighborhood garage sale. They were able to purge their home of some clutter while earning $762 in much-needed cash. I learned that one friend told his co-workers about ING Direct. Some of them moved from no- or low-interest savings accounts to high-interest savings accounts. One of the women in my running group found a job closer to home. She had been spending $250/month on gasoline just for her commute. Now she can take public transportation. She'll save time and money — plus her new job came with a small raise in pay. 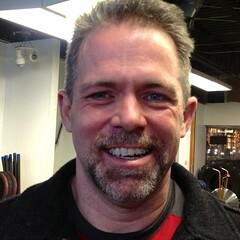 My friend Mike is interested in real-estate investing. He has other savings and investments, but is ready to diversify further. 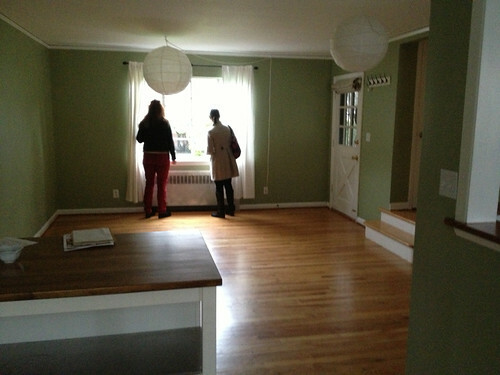 After doing some research, he and a partner are negotiating a deal on a rental property. If things go according to plan, this will add to his monthly cash flow. Kris and I also talked with some friends about how we save money on food. We've been tracking how much our vegetable garden costs, for example, and are now beginning to reap the rewards. As another way to profit from our harvest, we've agreed to trade surplus raspberries (of which we'll have many) for a friend's surplus salad greens (which we cannot seem to grow). Finally, I've been hearing news stories lately that indicate the price of beef (and other meat) is likely to increase substantially in coming months. Maybe this explains why so many people have been asking for tips on how to buy a side of beef — they want to lock in current prices. Kris and I continue to believe that the quality, convenience, and modest cost savings make purchasing beef in bulk a good deal, if you have a place to store it. All of these anecdotes feature small ways to save money. Nobody will get rich — slowly or otherwise — by taking just one or two of these steps. But when combined together as part of an ongoing campaign of thrift, investing, and self-improvement, small changes like these can lead to a very large change indeed.